Write for the Student Life Blog! Do you like to write for fun or take pictures of cool stuff? 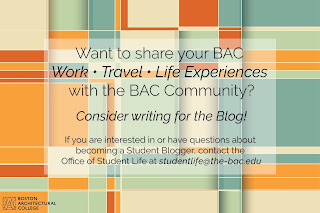 Want to share your BAC work/travel/life experiences with the rest of the BAC community? 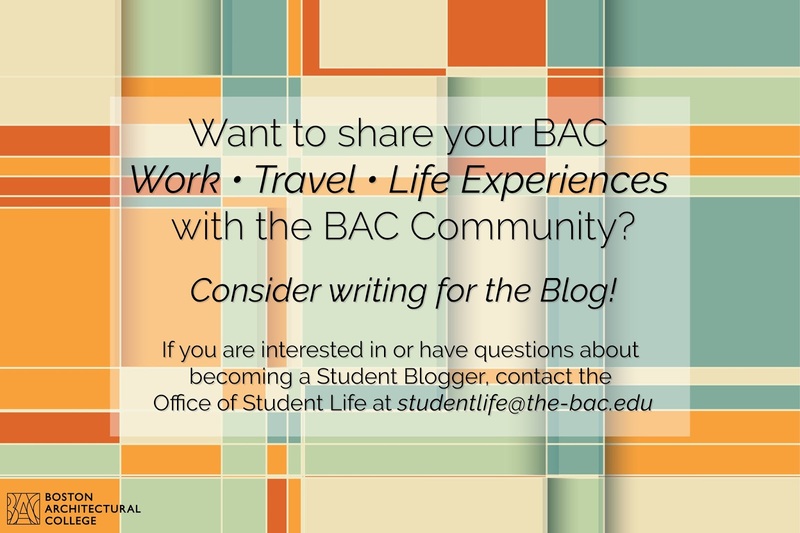 The Office of Student Life is looking for student contributors to our Student Life Blog! Please email us if interested, or visit us in person (320 Newbury, first floor) with any questions on how to get involved!